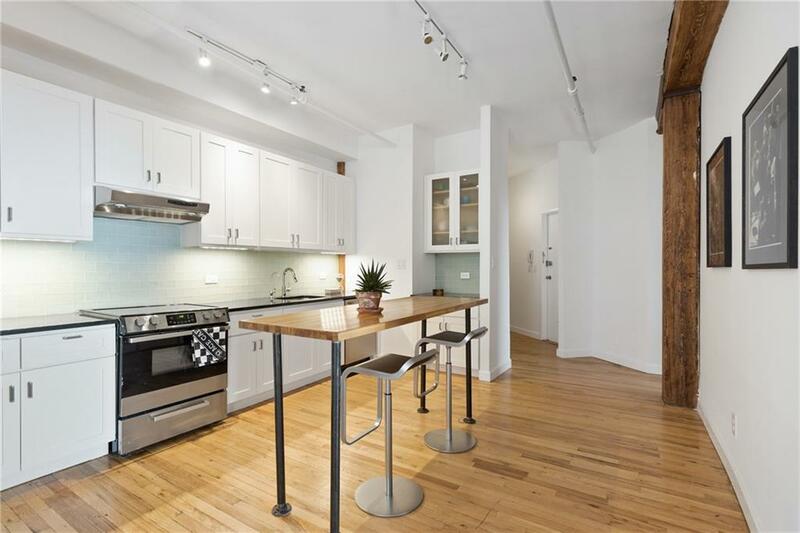 Apartment 3A at 119 North 11th Street is the Authentic Williamsburg Loft you have been looking for. Unique among the cookie cutter new developments that populate the area, this 1,400 sqft corner loft has 9 oversized windows facing South and East, letting in full sunlight all day long. 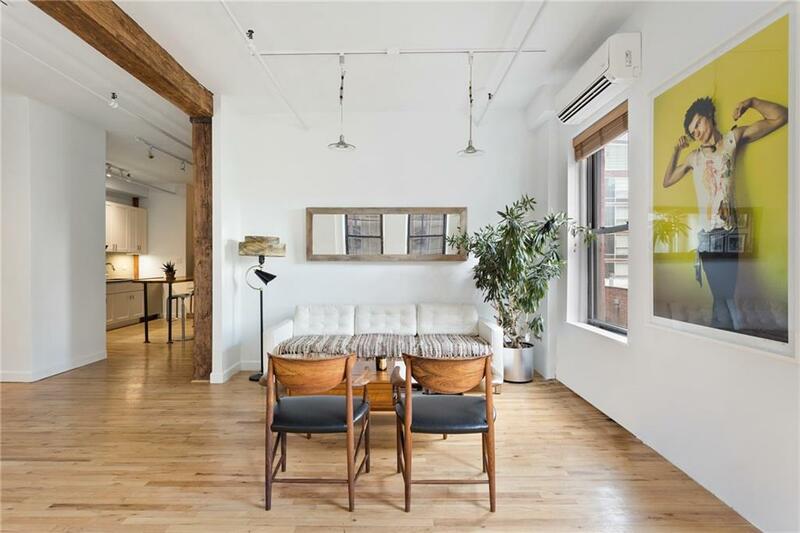 Featuring all the characteristics of a true industrial loft: 10ft wood beamed ceilings and columns, exposed pipes and brick, the space is currently configured as a 3 bedroom 2 Bathroom apartment. The large recently renovated eat-in open chefs kitchen, has a new stainless steel refrigerator and dishwasher. Both the master ensuite bathroom and the guest bathroom have been fully renovated, and feature large soaking tubs. The loft has an in-unit Washer/Dryer, 3 of the 5 closets are large walk-ins, there are split system AC/heat units throughout, and a custom water filtration system on all the water sources in the apartment. An additional large storage space in basement is included in the sale. 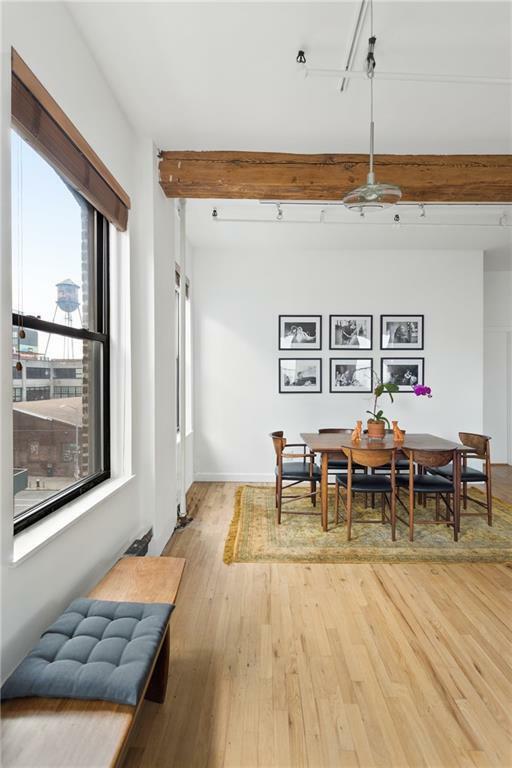 All of this and the extremely low monthly charges, make this loft one of the best spaces on the market today.This stunning loft is located in The Northside Arts Industries Condominium, which was built in 1880 and was a former paint factory. There is a common roof top deck with incredible Manhattan views, an on-site super, bike storage, adjacent parking lot with loading dock and a freight elevator available for use. 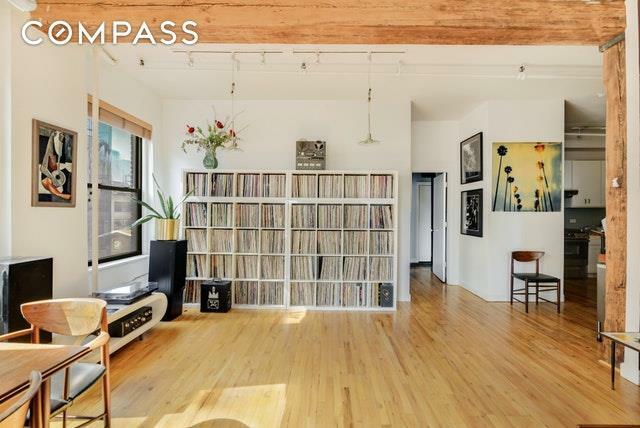 It is located 1 block from McCarren Park, a few blocks from the L and G trains and the East River Ferry, and close to the Waterfront and all the best restaurants, bars and shops that Williamsburg and Greenpoint have to offer. Please contact listing agent at Compass for more information and viewing. Listing courtesy of Marina Schindler of Compass. © 2019 Hudson Gateway Multiple Listing Service, Inc. All rights reserved. IDX information is provided exclusively for consumers' personal, non-commercial use and may not be used for any purpose other than to identify prospective properties consumers may be interested in purchasing. The information appearing herein has not been verified by the Hudson Gateway Multiple Listing Service, Inc. or the Hudson Gateway Association of Realtors, Inc. or by any individual(s) who may be affiliated with said entities, all of whom hereby collectively and severally disclaim any and all responsibility for the accuracy of the information appearing at this web site, at any time or from time to time. All such information should be independently verified by the recipient of such data. This data is not warranted for any purpose. The data relating to real estate for sale or lease on this web site comes in part from HGMLS. Real estate listings held by brokerage firms other than Mark Boyland Real Estate Team | Keller Williams Realty Partners are marked with the HGMLS logo or an abbreviated logo and detailed information about them includes the name of the listing broker. Data last updated: 2019-04-22T19:15:13.907.